I am pleased to bring you our latest magazine with news of the campaigns to save animals, what has been achieved and what needs more work and determination from us all. Click here to donate now and help us to campaign to protect animals. Now, we have before us two world-changing campaigns both set to come to a peak at the same time and it needs all of our strength and willpower to drive these through to success. I know that you and I, working together are about to make the difference that will save countless of animals in the future and set precedents for the world to follow, on two issues. Our dream is to change the world for animals, and that is what we can achieve now – this is our moment. The time is now. If we can bring an end to government secrecy on animal research, we open the way for us to end animal experiments by challenging them before the researchers get their licence. The UK Government will be making a decision early next year! There is a Government bill coming on wild animals in circuses. Click here to email us now to request a postcard to send to your MP. If the UK bans, the world will follow. And we must rescue the animals – we got the circus ban in Peru and now we have a massive animal rescue ahead. We must save the animals! 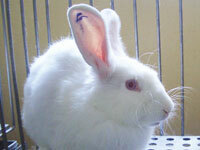 Fight for public accountability on animal experiments! Today is the day that YOU can take the first step to ending 150 YEARS of secrecy. 150 YEARS of decisions made behind closed doors. Send the letter to your MP! DONATE TODAY TO SAVE CIRCUS ANIMALS IN PERU! We have banned wild animal circuses in Peru, Now we must rescue the animals from the illegal circuses. We have a massive rescue operation ahead – lions, tigers, bears, monkeys. PLEASE CLICK HERE TO DONATE TODAY TO OUR PERUVIAN RESCUE FUND! Click here to return to our latest magazine.